This book is five years old, and many of you may already be aware of its merits, but I've only just got to reading it. 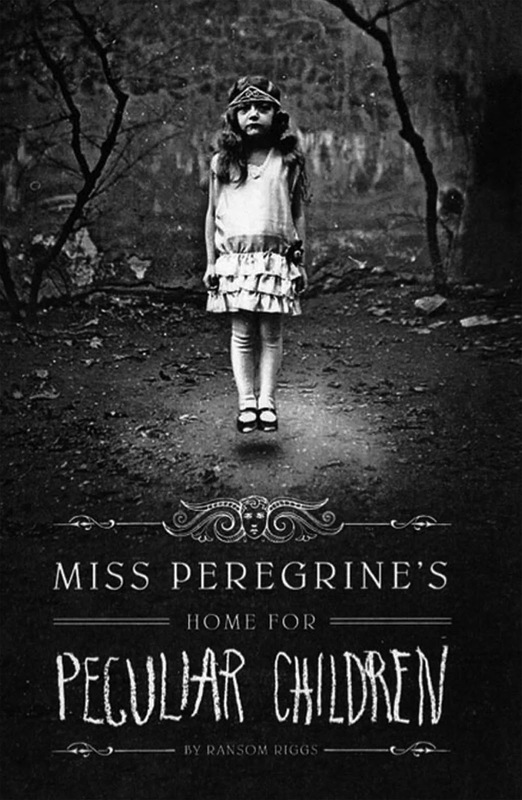 Just in time too, as there's a movie adaptation by Tim Burton out this year, that looks fabulous, and I do always like to have read the book before I see the movie. The main character is 16-year-old Jacob. He is traumatised by finding his grandfather, Abe, mauled to death in his garden. The old man had told many strange tales about monsters, and shown Jacob a few odd photographs of 'peculiar' children, saying that they were part of his very happy childhood in a big house on an island. Jacob meets regularly with a psychiatrist, who agrees that it might be a good idea to go the the island and find out more about Abe's childhood. He goes with his father - a rather pathetic man who is constantly starting book projects which he becomes disenchanted with and gives up before they are finished. He's planning to write a book about the many birds on the island. 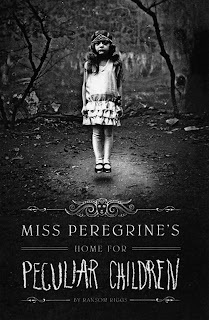 When Jacob goes looking for the big house he finds nothing but an empty old ruin, until he encounters the time slip and discovers that the peculiar children are very real indeed, and in great danger. I don't want to tell too much more about the storyline but it's mighty exciting with marvellous peculiar characters and twists in the plot. I was amazed to read that the photographs which are scattered throughout the book, are all real photographs, collected by a number of people who search long and hard for these strange photographs, which the author has then used to build his characters around. Mystery, time travel, romance, adventure, supernatural... this book has something to tempt so many readers with. It's not currently in my school library but I've ordered it, and the rest in the series, and I look forward to introducing readers to it. It might be one of the older books on your library shelves, but the movie coming out give a great opportunity to promote it again. NB: as I go to add labels to my post I look again at the author's name - Ransom Riggs - can that truly be his real name? He sounds like an old time movie star.